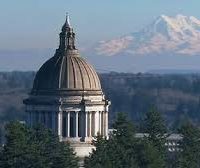 A Washington legislative proposal for a statewide network of community mental health facilities has advanced on a bipartisan vote amid questions over whether they should be publicly operated. The bill advanced unanimously Friday from the Senate Health Care and Wellness Committee is one of a pair of linked measures that seeks to implement plans proposed by Governor Jay Inslee. The bills would respond to the state’s mental health crisis by transferring treatment for civilly committed patients from two mental hospitals to a network of smaller regional facilities. But while lawmakers from both parties have broadly embraced the idea, leading Republicans and Democrats said who would run the facilities remains an open question. Options include having the facilities be managed by the state, by community-based nonprofits, or by existing hospitals. Democrats currently control both halves of the state Legislature, and numerous lawmakers from the party said they were open to a mix of state and locally managed facilities. But University Place Senator Steve O’Ban, a Republican active on the issue, said he wanted the state out of running the facilities entirely, citing failures including assaults and escapes at the state’s largest psychiatric hospital, Western State. O’Ban has introduced a bill that would allow nonprofits and for-profit businesses to qualify to run the facilities. Independent operators would be licensed by the state, then kept in line by the threat of closure.